A new AI-driven chatbot is looking to give educators deeper insights from course feedback by starting conversations with students. 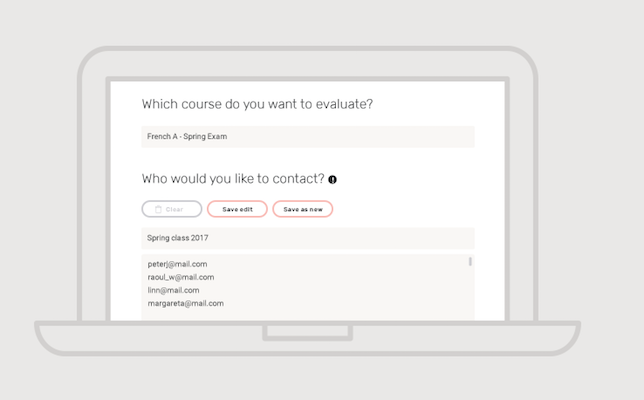 Hubert uses machine learning to interpret student feedback on courses and instructors, and offer ready-categorized results to administrators, according to information from the Stockholm-based startup company. What could the teacher start doing that would improve the course? Is there something that should stop because it’s not working well? What is working well and should continue in the same way? The core goal of Hubert is to reform traditional teacher-surveys and provide more qualitative feedback on a course without creating extra work for instructors. Each time an evaluation is completed, the instructor is notified and receives a unique evaluation link that can be shared with the student. Hubert sends students in the course automatic reminders and chats, compiling a report for the instructor. They can choose to read every response separately as well by downloading them in a detailed CSV-file. In the future, Hubert will include more tailored conversations and clarifying questions. There will also be more comprehensive forms of questions.